If you are interested in finding the best rowing machines of 2019, you’ve come to the right place. I can help! I know how frustrating and time consuming it can be looking for a new piece of workout equipment. You want to find the best product at the best price and it takes time to search online and read all the reviews and then compare all the prices. Luckily, I’ve already done the hard work for ya. I’ve done the research to bring you a comprehensive list of the most highly rated rowing machines on the market this year. Before we start reviewing what the market has to offer, I want to start with a quick guide on what you should consider before making your purchase. An informed consumer is a happy consumer. If you have made it this far in your research, I’m going to assume you know what a rowing machine (or rower) is. I’m also assuming you have actually used one before. If not, I think it’s a really smart idea to try one out at a commercial gym or at a buddies house before you purchase. Everybody has been on a treadmill or stationary bike at least once in their life, but rowing machines aren’t quite as common. And the last thing you want is to spend the time and money acquiring a piece of equipment that you are not going to use. So my first, and most obvious, piece of advice is to be certain that you actually want a rower! Knowing your budget ahead of time is key. This will help focus you in with your search. Don’t worry, regardless of your budget you will be able to find a quality machine. I promise. You may even be pleasantly surprised- you may not have to spend as much as you think to get a nice rower. You should never feel pressured to spend more than you are comfortable with. In reality, you can expect to spend between $100 – $1500 for your rowing machine. There’s a really big difference between the $100 rower and the $1500 rower, that shouldn’t come as a surprise. But it really comes down to what you need and how much you plan on using it. If it makes you feel better, the most popular rower on the market is currently less than a $1000. Not too bad for a machine that is used to train Olympians. Hydraulic rowers- these machines use pistons full of air or fluid to provide the resistance. They tend to be smaller and cheaper. Some have sliding seats, some don’t. Most have adjustable resistance. These are good for people on a budget or with space limitations. Air rowers- resistance is provided by a fan pulling against air in these machines. When you pull, a flywheel spins. This gives a feel closer to rowing a boat. Remember the old fan bikes (or the new awesome fan bikes)? Same idea. The harder you pull, the more resistance you get. Air rowers are very popular and are even used in indoor rowing competitions. Magnetic rowers- these machines provide resistance with the use of a metal disc and magnets. Resistance is increased or decreased by moving the magnets closer or farther from the disc. These machines are very quiet, but do not feel quite as realistic as the air rowers. Some feel the resistance isn’t quite as intense on magnetic rowers. Water rowers- these guys provide resistance with a flywheel spinning through water. They provide the closest experience to actually rowing a boat through water, because that’s what you are actually doing. A water rower would be great for a competitive rower. They are quiet and the swooshing sound of the water is soothing. These models tend to be a little more expensive, but are by far the most attractive rowers on the market. It’s a good idea to know where you are putting your rowing machine before you purchase. If space is limited, I would get a tape measure and measure your floor space. These rowers can take up a lot of space. Full size rowers (air, magnetic, water) can take up spaces as large as 9′ x 4′. Smaller, hydraulic rowers can take up spaces of around 4′ x 2′. This alone can help you decide what style of rower may work best for you. Most rowers come with a monitor. What that monitor can do depends on the model. A basic monitor will display time, distance, and speed of rowing. More advanced features include calories burned, power output (watts), and preprogrammed workouts. Some of the nicer monitors can save your stats and let you race against yourself. Or race against a pacer boat. These are fun features, but may not be necessary for you. Some rowing machines come with a heart rate monitor, many don’t. Some monitors are compatible with heart rate monitors even if they don’t include them. Some monitors have a USB port for storing work out data. Others may be compatible with workout apps that make it easy to record and view workout stats. If you are not too concerned with the console features, you may be able to save a little money. The rowing machines with nicer monitors usually cost a little more. Sometimes the only reason one machine costs a few hundred dollars more than another is the monitor features. Some monitors look better than others. Most are dark colored, some offer color. Size and location can vary. Some allow you to adjust the location of the monitor. You should consider the usability of the display screen when comparing products. This usually isn’t that big on issue with rowing machines, but always check the max weight capacity on a machine before purchasing. Most rowing machines have high weight capacities (250 – 500 lb). I always like to look at the weight capacity as a measure of a machine’s durability and stability. The higher the weight limit is, the more durable and solidly built the machine should be. The BodyTrac Glider is first on our list because it’s affordably priced and very highly rated amongst users. As a hydraulic rowing machine, the resistance is being provided by a single piston, or gas-shock resistance. The resistance is adjustable with 12 total levels. The most impressive characteristic of the BodyTrac is it’s durability. This machine has a steel frame and a 250 lb max weight limit. This is pretty amazing for this price range. Another great feature of this rowing machine is it’s petite size. When using this machine, you only need a space of about 4′ x 2′ to operate comfortably. Plus, it folds for storage when not in use. If you live in an apartment or smaller home where space is limited, this would be a great option. With a total weight of only 39 lb, this rower is a piece of cake to transport and store. The arms on this hydraulic rower are a little different than most. These arms row with an arc that resembles oars on a boat, offering a larger range of motion and a more comfortable feel. Check out a video here to see what it looks like. Not all hydraulic rowers incorporate a gliding seat, but this one does. You will appreciate this because it will incorporate your legs more while you exercise, delivering more of a total body workout. At this price range, you shouldn’t always expect a monitor, but the BodyTrac Glider does include one. It tracks time, strokes, and calories burned. Nothing fancy, but most people enjoy keeping track of fitness stats while they exercise. It does have a 1-year warranty on frame and a 90-day warranty on parts. One of the biggest concerns users have is that the bearings are covered with a plastic casing instead of metal. With time, these plastic casings will wear down. Users also complain that the foot straps are loose and it’s easy for your feet to slip out. Overall though, this a nice product for the price range. This rower is best for people who are looking for low-moderate resistance while they workout or who have space limitations. See full review. This Kettler hydraulic rowing machine is a little more expensive than the BodyTrac above, but it has a little more to offer. This rower comes with 2 hydraulic pistons, one for each arm. With 50 different resistance adjustments, you have complete control over the resistance of each arm. Having 2 pistons is favored over just 1 because it provides for greater resistance and it puts less stress through each one. The monitor on this rowing machine is a little more advanced. It can track time, distance, energy, strokes, heart rate, and frequency. The Kettler rower includes a earlobe clip-on heart rate monitor. This is great for tracking heart rate during your workout to ensure you are in your zone for optimal cardiovascular exercise. This is a nice feature because few machines come with a heart rate monitor, especially in this price range. The rower has a gliding seat to offer a total body workout, excellent for cardio and strengthening. The seat has a thick cushion, however some users still complain of the seat being uncomfortable. This machine takes up a little more space than the BodyTrac, you should be comfortable with this rower if you can dedicate a 5′ x 3′ space. It also has a 285 lb max user weight capacity which is impressive for this type of rower. This machine has lifetime frame and 3-year parts warranties- pretty good for a product in this price range. If you are looking for a few more bells and whistles on your rowing machine, the Kettler Favorit may be a good fit. Like all hydraulic rowers, it’s great if space is an issue. See full review. Sunny Health & Fitness seems to always find a way to make my “best of” lists. This company really has mastered the art of making quality, affordable exercise equipment. These products are often on sale on Amazon as well, making the price even better (this model is currently under $100). The biggest difference between this rower and the 2 previous rowers is in the form of the arms. The 2 machines above have separate arms, one for each one of your arms. The SF-RW1205 has a single bar that you pull toward you during your row. This actually is a closer resemblance to the more expensive air and water rowers. This machine has a steel frame and offers 12 levels of resistance. It has a single piston that can be adjusted by turning a knob. The seat is fairly comfortable and glides smoothly along the track. Users report it works surprisingly well for a rower in this price range. It does include a small monitor that can track time, strokes, and calories. Nothing fancy here. It’s mounted to the handle, but still can be a little difficult to see during use. This machine only has a 220 lb weight limit, significantly lighter than the other machines we have discussed. But, this rower only weighs 20 lb. This machine can work for you if you are smaller, but don’t expect it to feel as sturdy as some of it’s competitors. I should mention again though how cheap this rower is. If you are looking for a beginning rowing machine, or are just looking to row a couple times a week, this machine can work for you. It is not designed to handle strong rowers, it won’t hold up. Keep in mind it is a little longer, so it takes up more space. It is super lightweight and easy to move though. See full review. For more awesome machines, check out my hydraulic rowers buyers guide. I want to start this category off with the best in it’s class. Actually, arguably the best in any class. The Concept2 Model D is the best selling indoor rowing machine in the world…yeah, the world. This is the rowing machine Olympic rowers train on. It’s also the same machine most indoor rowing competitions use. As an air rower, there are no pistons or resistance knobs. A flywheel provides resistance as it turns. You can adjust the damper at the fan to change the amount of air going to the fan. This will change the feel. Remember, the harder you pull, the more resistance you get. The Concept2 has one of the nicest monitors you’re gonna find on a rower. It has programmed workouts or you can “just row”. The monitor can connect wirelessly to a heart rate monitor for tracking heart rate. There is also a USB port on the monitor for storing workout data as well as a free app (ErgData) that can be used for tracking stats. This rowing machine is loved for its durability and stability. If you have ever used a rowing machine at your local gym, it was probably a Concept2. This is truly a piece of commercial grade exercise equipment priced for home use. This is why it has become so popular with elite athletes. It can hold up to the strongest rowers in the world without breaking down. You will feel comfortable and supported as you row away those calories. It’s incredible that such a strong and durable machine can easily fold in half with the pull of a pin for storage. It also only weighs 57 lb, making it easy to move. The Concept2 Model D has a 500 lb user weight limit…enough said. You can’t go wrong with this rower. It’s the gold standard in rowing machines and is loved by anyone who uses it. It has an average user rating of 4.9/5 on Amazon with over 1,500 customer reviews. But just in case this rower isn’t quite tough enough for you, check out the Concept2 Model E – same great rower with a higher seat and a couple other little extras. This rower is constantly being compared to the Concept2 Model D. I guess when you are the gold standard in rowing, that comes with the territory. This is a great rowing machine with a few more features than the Concept2, but it also comes with a significantly higher price tag. I’m including this rower with the air rowers because I want to compare it with the Concept2, however this is actually more of a combination rower- the resistance is a combination between air and magnetic. This combination gives you the ability to choose your resistance electronically. The VR500 has 32 levels of resistance. Users love the fact that you can increase or decrease the resistance level straight from the handlebar during use. This rower has a really nice, easy to see display monitor. Keeps track of all the typical stats: calories, time, strokes, etc. The VR500 is incredibly durable, built to last the strain of multiple rowers using for years. That’s where the “commercial” part comes in. Durability or stability during use will not be a concern of yours if you choose this product. A big difference users seem to really like about this rowing machine is how comfortable the seat is, even more so than the Concept2. Rower seats are kinda notorious for being uncomfortable (much like spin bike seats)- they typically are hard, but the Vr500 has some extra padding to make it more comfortable for you over longer bouts. The VR500 does have a better warranty than the Concept2, it offers a lifetime frame while the Concept2 only offers a 5-year frame. Both good, but lifetime is always best. This machine also sits a little higher up off the ground. You might appreciate this factor if you have a hard time sitting on low seats due to achy joints. Overall, there is no doubt this is a great rowing machine. It’s a commercial grade rower that can easily fit in most home gyms. Personally, I still prefer the Concept2. The advantages this rower has over the Concept2 are not enough for me to warrant the large difference in price. That really says more about how good a deal the Concept2 is though. The Stamina ATS Air Rower is a more affordable option than the 2 previous rowing machines. I’m not going to say that this machine can play in the same league as those 2, but it’s a quality machine for the price. I like the simplicity the air rower provides. I think this is one of the biggest reasons I prefer air rowers to magnetic rowers. With a traditional air rower if you need more resistance, you simply pull harder. There is no fumbling with buttons trying to adjust resistance as you row. That’s what the Stamina ATS is here to provide. Nothing fancy, just good ol’ fashioned air rowing at a reasonable price. If you can’t afford the Concept2, this is a safe alternative. The seat is padded and fairly comfortable, comfortable for a rower seat anyway. It glides smoothly along it’s track, offering a comfortable feel as you row. The steel frame won’t wobble as you exercise. The footplates are large with adjustable straps, user’s report they work effectively. This machine comes with a monitor that will track speed, calories, time, and distance. The basics. The Stamina ATS has a 250 lb weight limit. I would like to see that a little higher, but for this price range it’s fairly average. A nice feature this rower provides are floor protectors. These will help protect your floors and keep your equipment from moving. You can probably do without an exercise mat since the included floor protectors should do the trick. All in all, a nice rowing machine for the price. This air rower would best suit a beginner or moderate rower. Serious rowers should consider upgrading. User reviews for this product are overwhelmingly positive with a 4.2/5 average user rating online. See full review. Another Sunny Health & Fitness product, I swear I don’t work for them, I just like their products. They do a great job of mixing quality and low price. The SF-RW5515 is their most affordable magnetic rower, also one of their most highly rated rowers. As a magnetic rowing machine, the first thing you will notice is how quiet it is. You won’t have any problem watching tv or exercising while family members are sleeping. The SF-RW5515 has 8 levels of resistance you can adjust by turing a knob. Nothing fancy, but effective. Users love how easy this machine is to assemble. All agree it can easily be completed within 30 minutes. Instructions are straightforward and easy to follow. This rower does come a monitor, but it isn’t a very sophisticated one. At this price point, you shouldn’t expect much in the monitor department. But it does a nice job of keeping track of the stuff that really matters: time, strokes, calories. The cushioned seat will help you stay comfortable while you exercise. This rowing machine is surprisingly sturdy and comfortable considering the price. It has a max user weight of 250 lb, nothing to write home about but not uncommon for the price range. Footplates are large and comfortable. You shouldn’t have any issues with your feet coming out with the adjustable strap. This machine has a fairly small footprint when assembled and can easily be transported with the provided transport wheels. Overall, the SF-RW5515 is a highly rated, incredibly affordable rower. At this price, it’s going to be hard to find a nicer magnetic rowing machine. It doesn’t provide any fancy features, but it will give you a great workout. I would recommend this rower for beginner to moderate level rowers. The Velocity rower is currently on sale at Amazon and I like it a lot better at it’s sale price. At full price, I’d say you’re better off to save up and just go for the Concept2 (unless you really hate air rowers for some reason). But on sale, this machine is priced fairly well. The biggest benefit the Velocity rower has over many of it’s competitors in this price range is the fact that it comes with a chest strap heart rate monitor. This is a great feature because if you are using one of the heart rate programs, the rower will automatically adjust the resistance to keep you working hard enough to keep you in your target zone. The Velocity rower also provides a larger, easier to read monitor than some of it’s competitors. A lot of the monitors in this price range are really small and unattractive. This one is a little easier on the eyes. It also comes packed with 12 workout programs to help keep your workouts varied and more interesting. Users report this machine is durable, very few complaints about it breaking down. That said, it only has a 90 day warranty on the monitor and a 30 day warranty on parts (5 year on frame). This is a pretty awful warranty. There have also been complaints that customer service is slow and hard to work with. It’s max weight capacity is only 275 lb- I’d like to see that higher, but in this price range that’s fairly average. If you are looking for a pretty affordable rower with an upgraded monitor, this is a good bet. It’s a highly rated rower by users and most users don’t have any issues with function. Just be aware that it’s warranty is not very good, so if something does go wrong, you may not get much help from customer service. The Stamina Avari rower is a moderately priced rower that should please anyone looking for a magnetic rowing machine. The first thing that stands out to me about this rower is how stable it feels. Users report this feels like a commercial grade machine during use. No wobbling or fear that you are going to break it if you pull too hard. This rower also has the nicest monitor of the 3 magnetic rowers discussed in this guide. The LCD backlit monitor makes it easy to track your calories, stroke count, time, distance as well as watts and heart rate. This rower also comes with a chest strap heart rate monitor. The Stamina Avari offers 12 workout programs, 6 of which are cardio workouts designed to work with the heart rate monitor. The resistance on this rower is adjusted with up and down arrows on the monitor, a little more sophisticated than a simple knob adjustment. Users love how quiet and smooth this rower feels during use. Unlike the Velocity, users have nothing but good things to say about the Stamina customer service. The warranty on this rower isn’t that great either, 90 day parts and 3 year frame. It too has a 275 lb max user weight limit. This rower is easy to move- it folds and has transport wheels so if you would be storing when not in use, it shouldn’t be an issue. The biggest advantage of choosing this rower is it’s upgraded monitor and more advanced programs. If the monitor isn’t a priority for you, you may be better off getting a cheaper model like the SF-RW5515 above. I’m starting the water rower section with a real piece of art. The WaterRower Club Rowing Machine is a gorgeous piece of equipment. It looks more like a centerpiece for a room than something that belongs in a gym. But don’t be fooled, this rower is legit and can hold it’s own with any other rowing machine around. As a water rower, you are going to feel like you are rowing on a boat when you use this. The flywheel spinning through the tank of water provides a water swooshing sound, much like you might here if you were actually on a lake somewhere. It’s quite relaxing. The great thing about a water rower (and an air rower) is that there is no need for adjustable resistance. Like real rowing, when you pull harder you will get more resistance from the blade pushing through the water. Don’t pull as hard and you get less resistance. It’s completely up to you. This also means there is no limit to the resistance this machine can offer. It turns out the ash wood this rower is constructed from isn’t purely for looks. The ash was chosen because it helps absorb sound and vibration. This will keep the machine quiet and stable during intense workouts. The WaterRower comes with a pretty sophisticated display monitor that is heart rate monitor compatible, however one is not included. Looking past it’s good looks, this rowing machine is really built for durability. It’s designed for heavy, commercial use. It has a 1,000 lb max weight capacity (now that’s what I’m talking about!). When considering this machine, keep in mind that it is fairly large and weights 117 lb when filled with water. However, it can be stored vertically when not in use. There are several different finishes for the WaterRowers at different price points. There are also upgrades you can purchase including a “high rise” set that brings the rower higher off the ground. Overall, this is a fantastic rowing machine. It has an average user rating of 4.7/5 on Amazon with over 200 reviews– the only rower I have seen with a better rating is the Concept2. If you are looking for the best water rower around, you found it. A significantly more affordable water rower, the AR Newport Rower would be a great selection for your home gym. It doesn’t offer the same style and class as the WaterRower above, but no other rower can. At the price though, it’s a good option if the WaterRowers aren’t in your budget. As a water rower, you have the same unlimited resistance depending on how hard you pull and the same, soothing sound from the turning water. You can easily adjust how much water is in the tank to change the overall resistance and feel during use. The handle on this rower is ergonomically designed to reduce strain on your arms- it is bent slightly to make for a more comfortable feel. Users seem to agree it helps. Assembly on this rower is easy and this machine weighs much less than the WaterRower above, making it easier to move. This rower can also be stored vertically to save room when not being used. This will come in handy if your gym space doubles as your children’s play area like mine does. This rower has a monitor that is compatible with chest strap heart rate monitors. User’s appreciate how sturdy the frame is and how smooth the seat glides on the rail. The AR Newport is a durable machine with a 300 lb weight capacity. It also comes with a nice warranty: 5 year frame, 3 year tank, and 1 year parts. Overall, a very nice water rower at a decent price. There are some complaints that adjusting the water tank is cumbersome and some users have noticed intermittent “clicking” noises in the seat. Otherwise, a very highly rated rower. At almost half the price of the AR Newport Rower, the Obsidian Surge rower offers a great water rower at an affordable price. Nothing fancy here, just a quality rower that will give you that authentic feel of being on the water as you row. For anyone on a budget, I always recommend Sunny Health & Fitness products because they are always so highly rated by users. This water rower is no different. It’s averaging 4.6/5 on Amazon with current users. One nice feature of the Obsidian Surge (I like the name by the way) is the molded seat. With contour and added padding, it should keep you a little more comfortable on those longer rows. Rowing longer than 20 minutes can get uncomfortable on a lot of machines, but this seat should help. It comes with a large display monitor that tracks all the usual stats. The monitor, though, is what most users complain about the most. Apparently it can be a little less than accurate, especially with calculating distance. It is compatible with a chest strap heart rate monitor, but doesn’t come with one. The Obsidian has decent foot plates and straps, should keep you stabilized while you row. The pull and glide of the seat are smooth and comfortable. This rower has a 250 lb max weight limit. This is on the low end for rowers, so this machine is definitely designed for beginner to moderate rowers of smaller size. Sunny Health & Fitness offers a respectable warranty on their rowers considering the price- 3 year frame, 90 day parts. Overall, if you are looking for an entry level water rower at a great price, the Obsidian Surge is a great choice. If you are looking for a sophisticated monitor with more advanced features, you are going to have to pay a little more. This rower should hold up well for beginner to moderate level rowers. Rowing offers a great, full body cardio workout. It can also help strengthen your core, back, legs, and arms. For these reasons, rowers have become a great addition to many home gyms. They really do fit well in home gyms because they come in many shapes and sizes. Theres a rowing machine that can fit any home gym. Most are really affordable as well. I would say surprising affordable when compared to treadmills and other pieces of cardio equipment. The important take away from this is to make sure you consider what you are looking and pick a rowing machine that will fit your individual needs. Ultimately, the best rowing machine is the one that works best for you. I hope you found this article helpful. If there are any questions please don’t hesitate to leave a comment and I’ll get right back to you. My gym has multiple concept machines and I really like them. I don’t row daily, but I do a few short sessions weekly to warm up for lifting and then usually one 30 minute session for a better cardio workout. In general I find the air machine works really well for me as an amateur but dedicated rower. There’s also the added perk of it keeping you a bit cool as air blows out of the front of the fan resistance area. You’re working for your own breeze! That’s right. I prefer the air fans too, I like being able to adjust the resistance for each stroke simply by exerting more effort. Those concept machines are awesome. Thanks for reading. This is a great amount of helpful information. 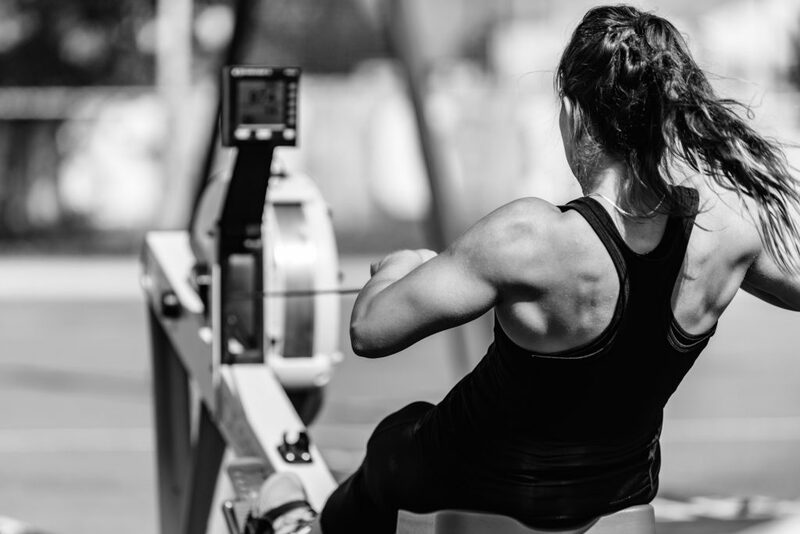 Rowing is a great form of exercise and I love how this guide gives you an affordable range of prices to consider for all the best of the update machines on the market. Thank you! Hey Jacquie, thanks for the kind words and thanks for reading. Very detailed. I actually never even thought of having rowing equipment as a part of my home gym, but after reading this it makes a lot of sense. For me personally, I think that the Stamina BodyTrac Glider 1050 is a good starting point. After watching the video you posted the link to it seems solid. Thanks Barry, my pleasure. Yeah, the BodyTrac is a pretty cool machine, that rowing motion is unique. Great product.